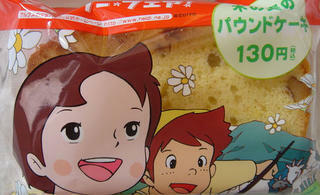 Family Mart has come up with a range of bread and cakes with the character "Heidi" from the 70's animation series. The aim seems to evoke nostalgic feelings in consumers who remember this series from their childhood. 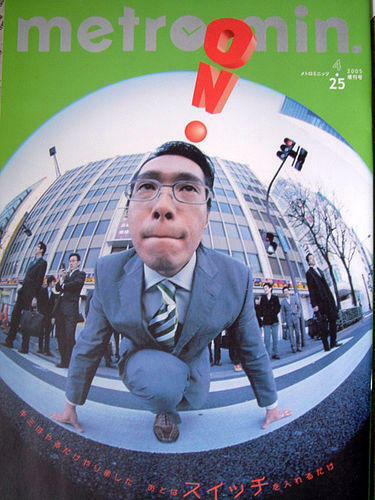 Other brands such as Glico with its Timeslip Series were very successful with similar "nostalgic" sweets in 2003. 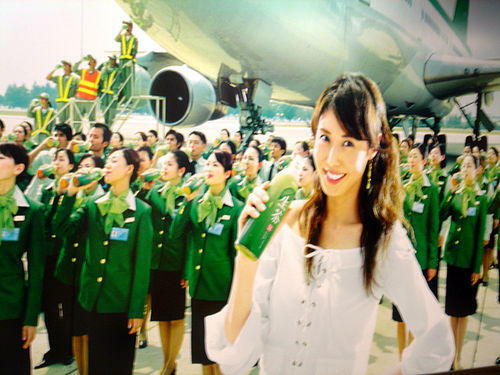 Kirin has created a virtual airline in the latest ads for its green tea drink Namacha. Considering the recent series of incidents at JAL, an airline branded by a large manufacturer would definitely be popular with consumers and might actually prove successful. Early summer, and the competition for alcoholic drinks is heating up. 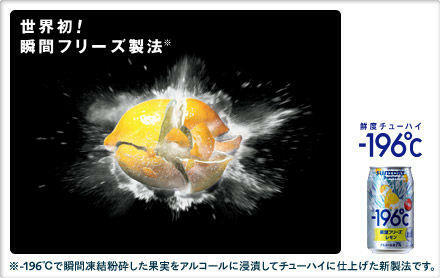 Makers of the Japanese version of alcopops, Chu-Hi, have come out with new products and flavours since April. Suntory has released a new Chu-Hi Brand with -196. Hailed as a breakthrough in the ads, the fruits are frozen at -196 degress in order to achieve maximum flavor, then processed into a powder which is dissolved in the drink. The website drives home this point with lots of exploding lemons. , of which the two pictured above have a distinctly Japanese package design. Contrary to the standard practice of doing test launches of new products in Tokyo, JT has released these brands only regionally, mainly in prefectures in western and southern Japan. With the campaign leaflet, smokers in Tokyo can receive a sample of these otherwise unobtainable brands by giving their name and adress and also the serial number of the package they are currently smoking. 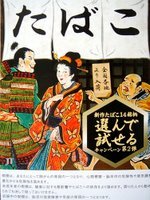 Until recently, you could buy an aircon in Japan in any color as long as it was white. Sanyo has changed this with the new Shikisaikan, which is available in seven colors. 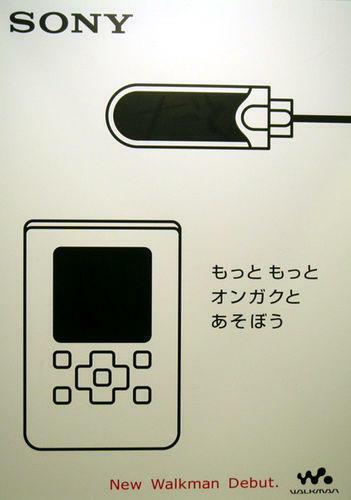 As usual when large Japanese companies launch a new product, also Sanyo has started a competition. Such competitions are usually simple prize draws, but Sanyo has come up with a different approach based on blogs. 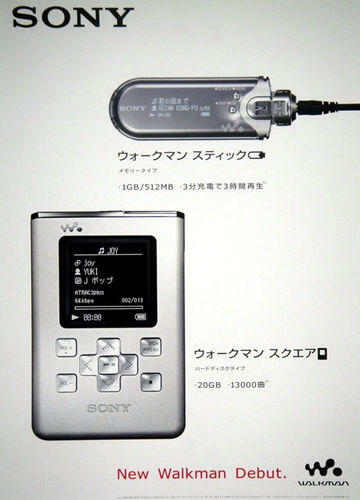 Viewers of the site are asked to write an essay on an interior-related topic on their blog, and trackback to the Sanyo site. The best entry wins half a million yen - and Sanyo gets free data on the interior-related preferences of potential customers. While the instructions on how to take part are not very clear, and many bloggers might be not familiar with trackback, considering there are 3.35 million blogs in Japan and rising, such campaigns are probably set to become standard marketing tools in the future. Huge advertisment for the frozen ice cream Coolish in Shinjuku station. 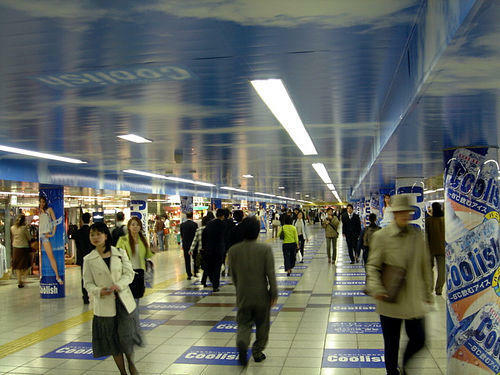 An 80m stretch of a concourse has been converted into a refreshing experience zone complete with blue sky to remind consumers to buy the product when the sticky rainy season starts in June. Another shot of the adverts for the new Sony Walkman in Shibuya station. Ads for the new Sony Walkman have hit the streets, as here in Shibuya. 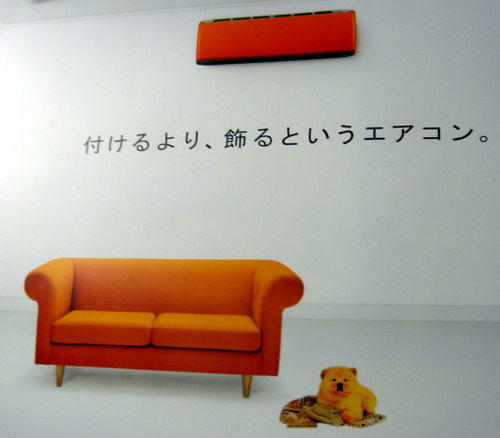 Much more interesting than the product design (yes, another iPod rip-off) is the design of the ad itself. Sony seems to at pains to stress the difference to the previous model NW-HD1’s greatest weakness – the complicated user interface which prompted the Sony president to hold it upside down when presenting it to reporters last year. Megmilk has released its take on the ubiquitous, Starbucks-style "Caffe Latte" drinks with the Off Beat Cafe series, featuring covers from classic Blue Note Albums by artists such as Freddie Hubbard and Clifford Brown. 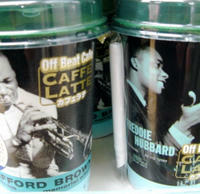 The design is a collaboration with Toshiba Emi, which has re-released a number of Blue Note albums. The drink has hit the shelves in April for a two-month test period but does not seem to be very popular - so far I have seen it stocked only in some convenience stores. 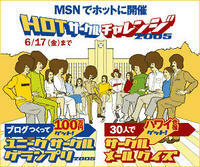 MSN Japan has started a campaign to promote MSN Hotmail and its blog service Spaces. Under the title Circles groups of friends can either create a blog and win 1 Million Yen or take part in a quiz and win a trip to Hawaii. 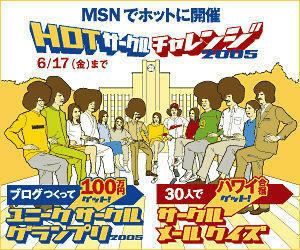 The design of the ad is done by Shu Thang Grafix of free magazine R25 fame. 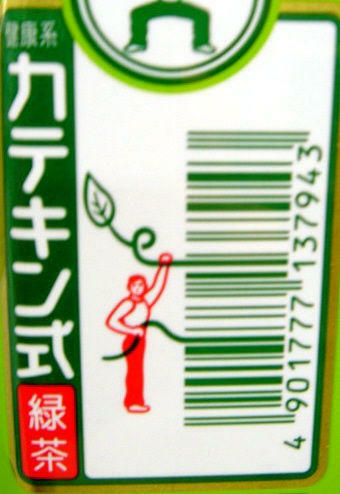 A creative take on the barcode from Suntory's green tea with health benefits Katekin Shiki. Suntory has launched Macadia a new alcoholic drink with health and beauty effects, and from the sophisticated yet cute style of the ad targeted at working women in their twenties. Asahi is promoting its Wakamusha on all fronts - it has even come up with a special edition of the free magazine metro min, exclusively informing about the drink and how it positively changes the life of a young salaryman by switching him "on! ".